We’re an American company built on the values that made America great: honesty, integrity and trust. Those values reflect everything we do whether it’s working hard to get a job done for a customer, volunteering in our local community or giving back to our hardworking, loyal employees who we treat like family. You can be sure that when you work for Solmet, you will be working in a safe, stable and enjoyable environment day in and day out. We reward our most loyal employees by promoting from within, recognizing special anniversaries and letting loose with golf outings and company picnics. We believe in working hard, but we also believe in building and fostering camaraderie among our team. Think you would be a good fit? Use the form below to send us your resume today. 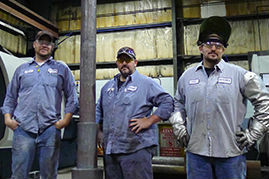 We’re an American company built on the values that made America great: honesty, integrity and trust. 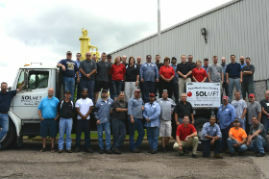 When you choose a career at Solmet, you’ll not only be working in a safe, family-like atmosphere, but you’ll also be able to take advantage of the many benefits we offer to our hardworking employees.